Many times, trees will get in th e way of your plans for your home and garden. If you need some room for an addition or you want to expand or add a garden, trees and stumps may need to be removed. And you don’t want to fell a tree yourself and then leave behind an ugly stump. Doing so could result in an unsightly tripping hazard. Stumps can also become home to pests or fungi that can spread to other trees or your home. And you’re not going to get very far with your gardening or expansion plans if a stump is in the way. You can increase your property’s beauty and value by having the professionals at Jim’s Trees fell your trees and remove your stumps for you. Our skilled experts have the tools and training to safely remove trees and stumps of all sizes. Removing these impediments yourself can be hard work and is potentially dangerous, instead, allow us to do it for you. We can grind down stumps until it looks like they were never there in the first place. And we can remove trees without causing damage to your home or property. We have been providing our tree services to the community for years now, and we are ready to bring our expertise and impeccable service to you. We use stump grinding to remove all stumps we handle. It is accepted as a safe and effective way to get rid of unsightly stumps without having to use dangerous chemicals or lawn-destroying uprooting techniques. Contact us right away to start getting the look and the space you want from your property. Our team of friendly professionals is standing by to help you. We can schedule a consultation or site visit for your convenience. 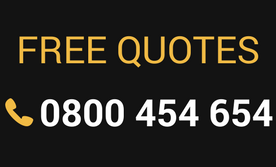 Or if you just want to find out the cost of our services, simply fill out the quote form on this web site.